Apparently the mini dokodemo door can’t be used to take you anywhere. But if you like the amazing gadget from Doraemon’s pocket, the Doraemon dokodemo door iPhone 4 case should be able to catch your eyes. This is an interesting, Doraemon themed protective case that measures 18.4 x 9.4 x 2.3cm, and designed for iPhone 4 and iPhone 4S. 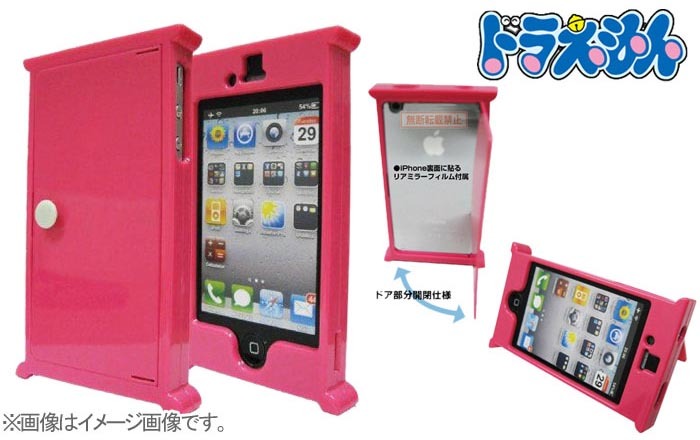 As we can see from the images, the iPhone 4S case is shaped as dokodemo door, one of the most famous and commonly used gadgets from Doraemon’s pocket, and the dokodemo door is movable, of course, when opening the mini-size door, you just see the back of your iPhone 4 or 4S instead of another space. Moreover, the iPhone 4 case is constructed of ABS in order to protect your iPhone 4 or 4S from bumps and scratches, and ships with a mirror sticker for the back of your iPhone 4. Apart from that, the custom cutouts allow you access to all the functions and buttons of your iPhone 4. 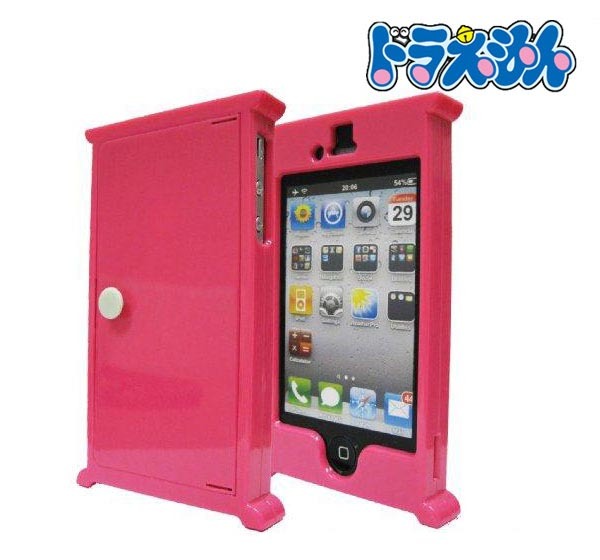 The Doraemon dokodemo door iPhone 4 case is priced at $29.9 USD. If you’re interested, jump to Strapya World for more details. Additionally, if you need other options, you might like to check the mug styled iPhone 4 case and more via “iPhone 4 case” tag.